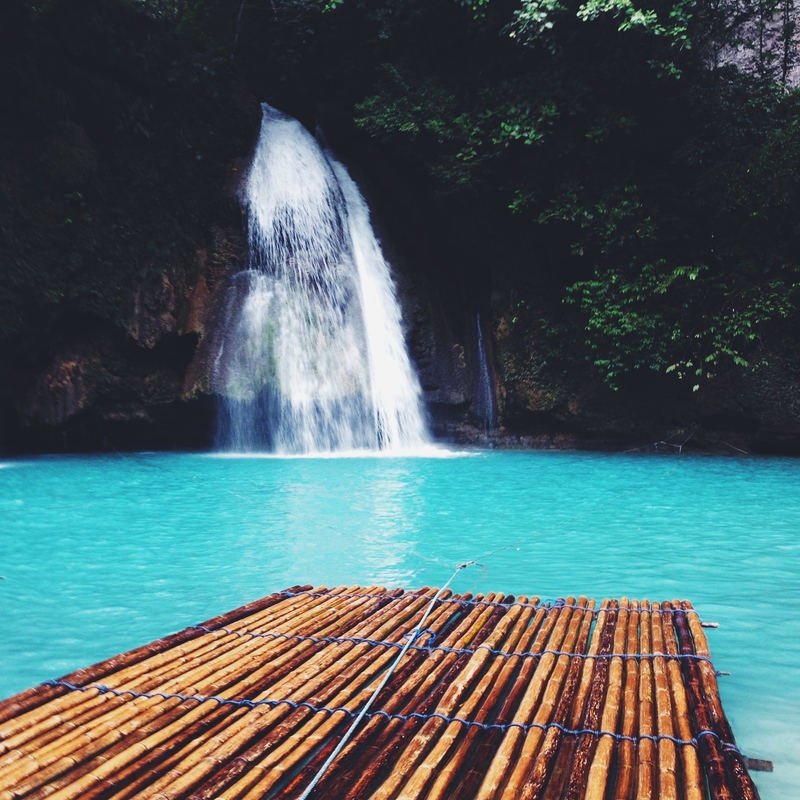 The aquamarine waters of Kawasan Falls can be found in Badian, a municipality on the island of Cebu in the Philippines. Badian is 60 miles south from Cebu City and is a stark contrast to the commotion of urban life seen in the city of Cebu. A visit to Kawasan Falls, the crown jewel of Badian, starts with a hike flanked by rich, jungle canopy on one side, and a clear blue lagoon on the other. The structures that lead up to the falls are reminiscent of an ancient civilization’s lost temples-perfect for those seeking an Indiana Jones type adventure. May and the first half of June are both great months to visit Cebu. While travelers should expect rainfall during every month in Cebu, the heavy rains tend to be from late June to December. The month of May will still have some rain but it avoids visiting during the stifling heat of the dry season (April is the driest month in Cebu). Traveling during the start of the rainy season is also a plus because school sessions usually begin in the first week of June in the Philippines. Thus, it is less crowded, as locals are back at home. During my stay, my family and I had the waterfalls to ourselves! Humidity and heat prevail in the Philippines, so make sure to wear clothes that keep you cool. Mosquito repellent is also a necessity, just incase you encounter the critters. 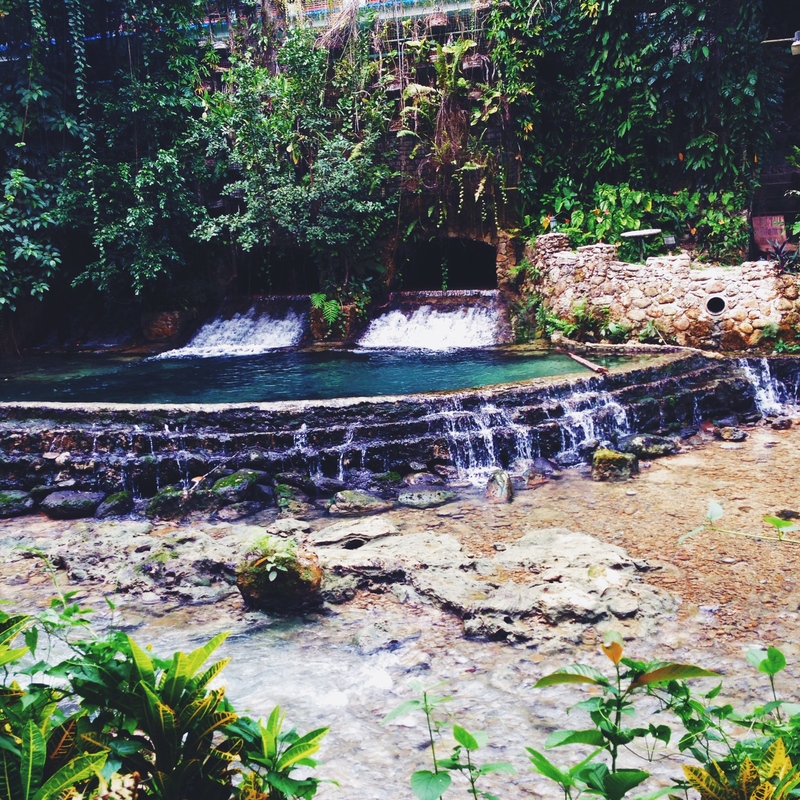 Wearing swimwear underneath ur clothing is always a good idea, since swimming in the falls is allowed. Bring plenty of cash, no credit or debit, if you want to use any of the services available (souvenirs, food, cottage rentals, room rental located next to the falls). There is also grills if having a barbecue next to the falls is something you wish to take part in. From the entrance, it is a 1.5 km hike to the first waterfall, so make sure to bring shoes with good traction. It is best to visit during the day, but if visiting in the evening, bring a flashlight for the hike as the path can be dark. One hour direct flights to Cebu from Ninoy Aquino International Airport in Manila (airport code: MNL) to Mactan Cebu International Airport are available year round. Once on the island of Cebu, you must travel to Badian. From Cebu city, travelers can take a bus to Badian-ideal for comfort and air-conditioning. Visitors also have the option of taking a jeepney or taxi as well. The travel time is close to 3 hours from Cebu City, depending on traffic. The hike to the falls begins at Matutinao Church in Badian. It is about a 20 to 30 minute hike on foot from the church. The easiest option for out of town travelers is to get assistance from a tour agency either at Mactan Cebu International Airport or in Cebu City (which is a one hour drive from Cebu International Airport). During your visit, make sure to stop by Cebu City, indulge in the local street food, visit Fort San Pedro and experience the local culture. Visitors can also travel to the seaside province of Cordova, which is ideal for island hopping on a traditional banca boat. Tumalog Falls is also a great option-not just for viewing the beautiful waterfalls, but also for swimming with whale sharks. Visiting Aguinid Falls is also popular, as well as taking a trip out to Pescador Island.